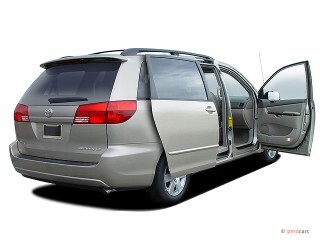 The Mazda MPV ($23,260-$28,230) is similar in concept to the sport-themed Nissan Quest, the “Z-car of minivans,” but in a more compact package and at a lower price point. 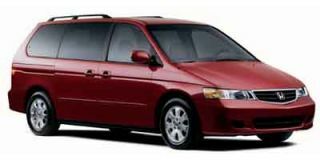 Like the $24,340-$32,240 Quest, the MPV is one of the very few minivans on the market with a pulse. It offers the frustrated family man or closet enthusiast soccer mom who needs a minivan but really wants a sport sedan the consolation of a reasonably peppy twin-cam V-6 similar to what’s available in one of the brand’s zippy sport sedans, handling and braking performance that’s a step up from the wallowing schoolbus experience that’s typical of most minivans and styling that at least tries to punch its way out of the breadbox. It’s still a minivan, of course. But it’s not a crashing bore to drive, as most minivans are. Or worse — a garage totem as revelatory as an AARP card and Viagra prescription of finally coming to grips with advancing middle age. Though not an out-and-out tire-squealer like the 240-hp Maxima SE, the MPV’s standard 200-hp, 3.0-liter V-6 responds decently when you tromp the gas pedal — both in terms of actual numbers as well as how it sounds and feels when pressed. 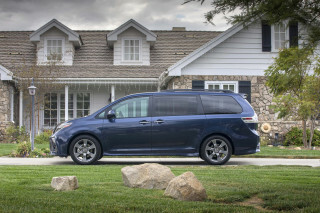 The MPV can scuttle to 60-mph in about 9.3 seconds — good performance for a minivan. But what the raw numbers don’t convey is the absence of any impression the drivetrain is being abused or pushed beyond its design intent when attempting a fast pass at highway speeds or trucking along at 80 mph. This is probably due to the fact that the MPV’s six is basically a detuned version of the same engine used in the Mazda6 sport sedan, just as the Quest is powered by a slightly tuned-down version of the Maxima's potent 3.5 liter V-6. Both are excellent engines — and both vans are blessed to be among the few with something other than purely utilitarian source of motive power. The MPV also has a standard five-speed automatic that is set up to shift with pleasing aggressiveness when asked, right at the engine’s 6200-rpm redline under full throttle. This transmission also has a “Slope Control” algorithm that senses when the vehicle is being driven on hilly terrain and holds lower gears as necessary to prevent annoying “hunting” between ranges. It is matched well to the engine and does excellent work whatever the situation. 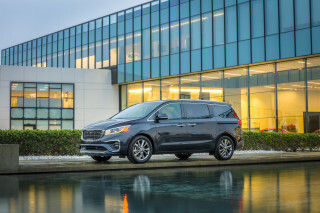 Handling and braking, though, are probably the MPV’s strongest suits as a “performance minivan.” You can actually throw this one around a little without getting immediately seasick or ending up on your side in a ditch. 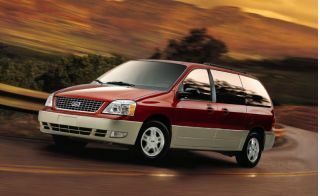 Most minivans are “overdamped” — too softly sprung — and as out of their element taking freeway off-ramps at 10 mph over the recommended speed as Charlie Sheen at a Promise Keepers rally. Not the MPV. It can be pushed surprisingly hard, minivan or not. This quality is also a safety benefit since the MPV is much more controllable in a panic-type situation than most minivans. Avoiding an accident in the first place is certainly at least as important as how well the thing protects you during an accident. The MPV also scores five stars in NHTSA's new car crash test program for frontal and side-impact protection. 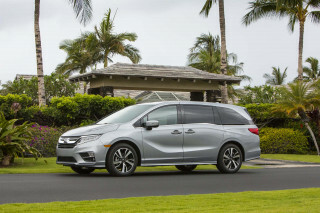 Body roll is kept in check via front and rear stabilizer bars, a feature many minivans lack, and front-end geometry set up like a sports car’s, with a three-degree offset axis to minimize camber changes during cornering. This is the key to excellent ride control without having to resort to overly stiff shocks/struts. The MPV’s steering ratio is pretty quick, too — 3.3 turns lock to lock, with good feedback and “on center” feel. The turning circle is tight as a result at 37.4 feet. Another plus: all MPVs are fitted with four-wheel-disc brakes (including 11.3-inch discs out back), a big improvement in terms of resistance to fade as well as panic stopping ability relative to the more commonly used disc/drum setup found on some competitors’ models. Add 17-inch wheels (standard on the ES) and you’ve got at least a German Shepherd in sheep’s clothing — enough underhood gumption and tenacity in the twisties to mess with the occasional kid in a winged-up Civic who could stand to have that smug look wiped off his face. 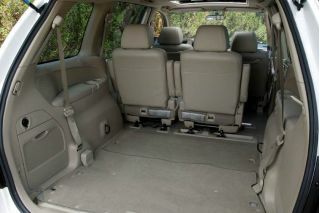 Meanwhile, the MPV is at bottom still a minivan, meaning it comes with all the “sensible” features that brought you here in the first place, including a handy “tumble under” third row bench seat that can be folded flat to increase cargo space or tumbled the other way into a backward facing tailgate party seat. Both LX ($23,260) and ES ($28,230) trim levels come equipped with four captain’s chairs, climate control AC, and a nine-speaker premium audio system with in-dash, six-disc CD changer pre-wired for Sirius satellite radio (all you need is the antenna and a subscription to the service). The LX gets rear air conditioning, leather seat covers, and an upgrade to 17-inch wheels. Power sliding doors are an $800 option —and for another $1,200 you can add a drop-down DVD entertainment system for the rugrats. It features a 7-inch LCD screen and wireless headphones. A “Four Seasons” towing package that includes a heavy-duty cooling system and other upgrades is also available; it bumps up the MPV’s rated towing capacity by 1000 pounds to 3000 pounds total. If you plan to pull anything with your MPV, this option is well worth the $425 additional cost, which will be offset over the years by reduced strain and wear on expensive parts like the transmission and the engine. 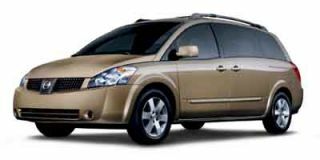 Buyers looking into “performance minivans” should be aware that the MPV is a much smaller van than the similar-in-theme Nissan Quest — almost a foot shorter, in fact (189.5 inches vs. 201.4 inches). It is also just 72.1 inches wide vs. the Quest’s 77.6 inches and rides on a 111.8-inch wheelbase vs. the Quest’s 124-inch wheelbase. But this can be a plus for people who don’t really need a super-sized minivan. The MPV is much easier to park and maneuver in tight spaces such as busy parking lots and underground garages than larger vans like the Toyota Sienna. Yet it’s still a seven-passenger van with three rows of seats and room for a family of four with plenty of space leftover for the kids’ friends. They’ll appreciate the MPV’s sensible qualities. And once you’ve dropped them off at the mall, you’ll be able to appreciate the “Zoom Zoom” qualities Mazda has built into this sensible but surprisingly fun family hauler. 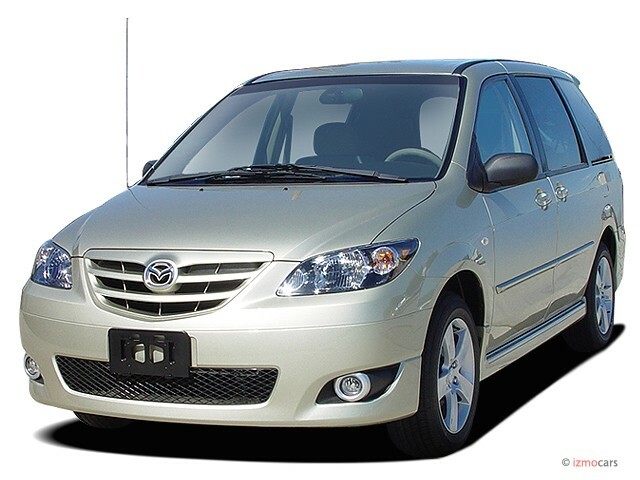 My 2004 Mazda MPV is great car to drive, comfortable and very good space. It's easy to manouver in tight spaces and it takes no time to fold the rear bench down and take the rear seats out with few steps. 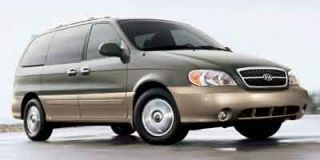 It... My 2004 Mazda MPV is great car to drive, comfortable and very good space. It's easy to manouver in tight spaces and it takes no time to fold the rear bench down and take the rear seats out with few steps. It has been reliable that tome i have own it. The only downside it fuel economy/mpg it's not great in that category but it's ok.